A letter of Pat. Bartholomew to Met. Onufry is published, in which Phanar says that in case of refusal to take part in the “council,” the UOC head will be a schismatic. 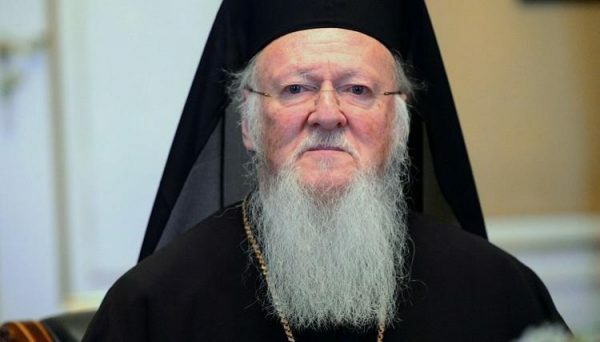 Patriarch Bartholomew sent a letter to His Beatitude Metropolitan Onufry urging him, “willingly, in the spirit of harmony and unity with the hierarchy subordinate to you,” to take part in the “unification council” to be held on December 15 in the St. Sofia temple, reported the Union of Orthodox Journalists. The leader of Phanar reports that Metropolitan Onufry “is obviously allowed to be a candidate” for the position of the head of the new structure. Recall that in 2016, at the Assembly of Primates of the Local Orthodox Churches in Chambesy, Patriarch Bartholomew called His Beatitude Onufry the only canonical First Hierarch of the Ukrainian Orthodox Church, who is recognized in this capacity by all Orthodox Churches. Metropolitan Onufry of Kiev and All Ukraine and other bishops of the Ukrainian Orthodox Church who received invitations to the unification assembly have returned them without response to Patriarch Bartholomew, the Union of Orthodox Journalists said, citing a source in church circles.